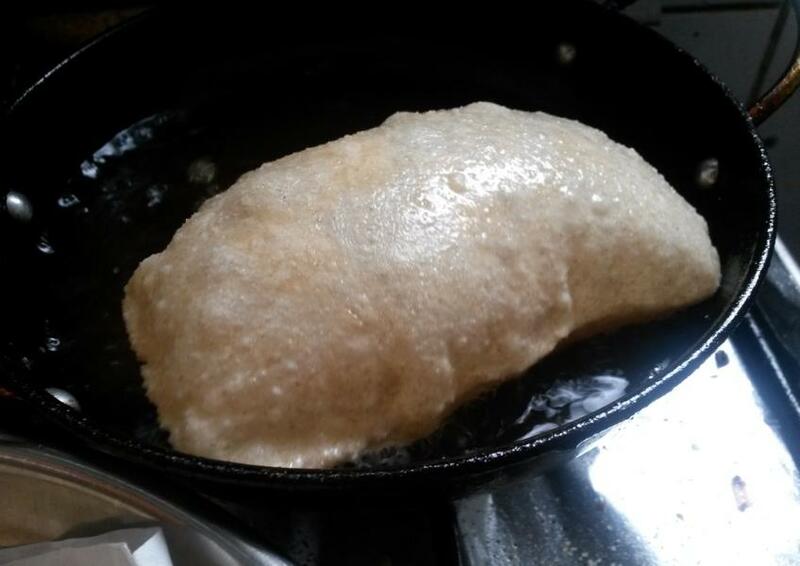 This is a super easy Indian bread…. A bit heavy on your waistline perhaps but extremely easy on your palate and you wouldn’t know how they disappear. I am not really sure about the origins of this Indian bread or which part of Indian cuisine it falls under. Not much information could be found on the internet. However, it is rather popular with rich gravies such as spicy chicken masala or chole masala. This recipe calls for whole wheat flour as well as all purpose flour. Sieve both together so that they mix well. Add the semolina which gives it a nice grainy texture and the salt. Add water little by little till it comes together into a firm but pliable dough. Wrap it in damp cloth and let it rest for 20 minutes. Divide into small portions and roll out each into oval shape of around half inch thickness. Deep fry one by one. The oil for frying should be piping hot, the parathas will fluff up and when it turns golden brown remove it with a slotted spoon. Sieve the both the flours together. Mix in the semolina and salt. 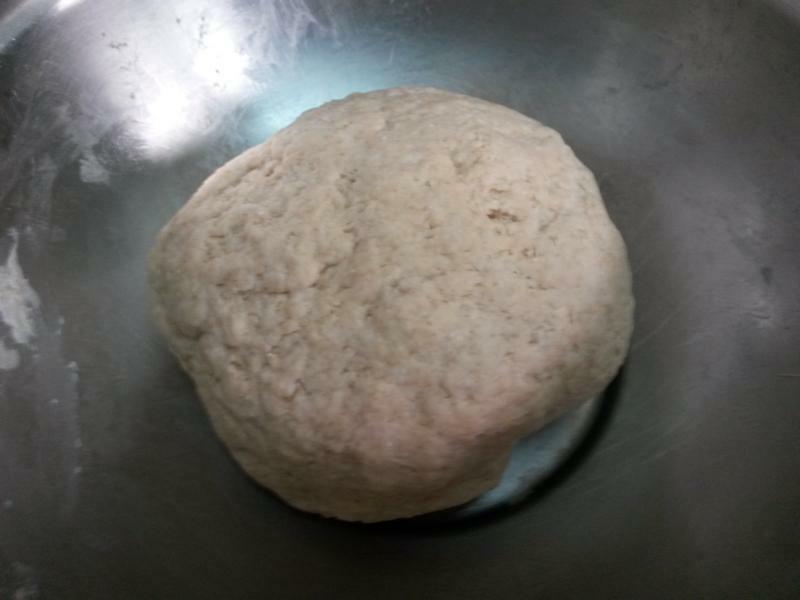 Knead into a dough using 3/4th cup of water into a hard dough. Keep covered with a damp cloth for twenty minutes. Divide the dough into eight equal portions. Roll out each ball into an oval shaped disc of around half-inch thickness. 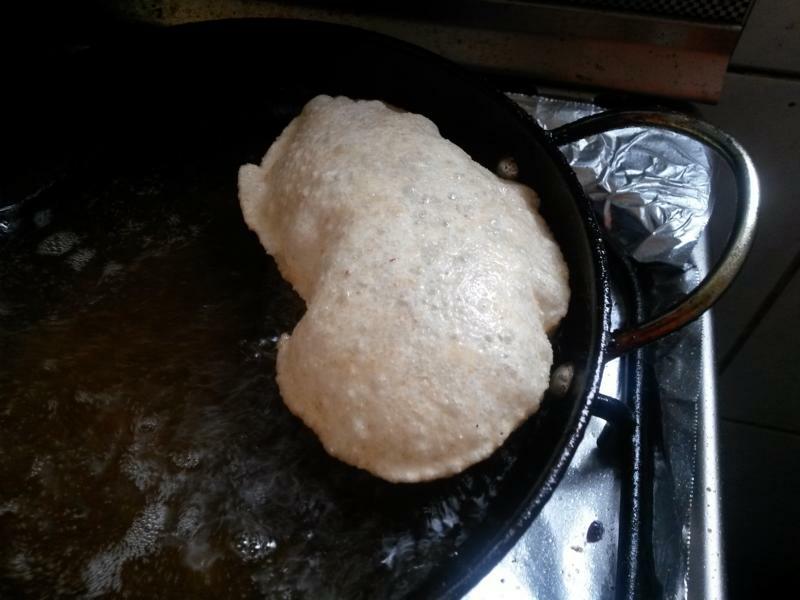 Heat sufficient oil in a kadai and deep-fry the parathas one by one over high heat until they puff up and are light golden. 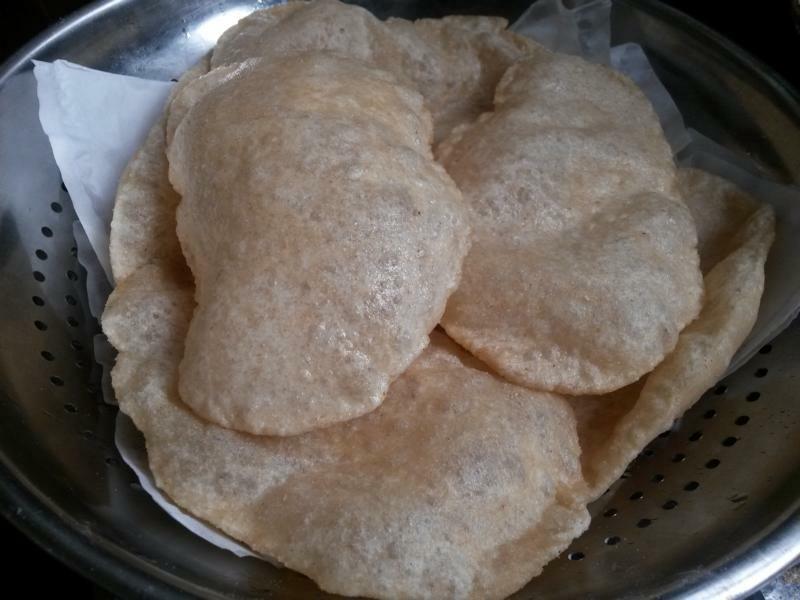 Drain and place on an absorbent paper and serve hot.